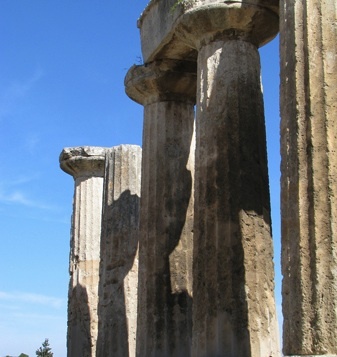 The Peloponnese, which is part of southern Greece, has a rich historical, archeological and cultural past. 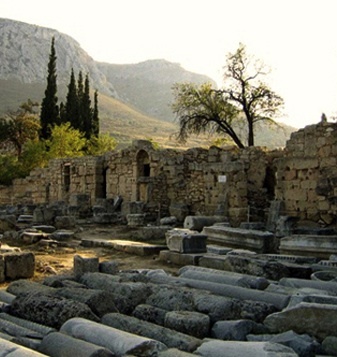 Especially Corinth which, except from being a big city, is of significant historical importance, since there are a lot of nearby archeological sites (ancient temples, tombs, monuments etc.) and attractions, which are visited every year by thousands of people. 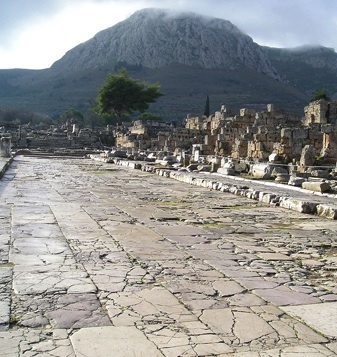 Among the most known ones are the Ancient Agora, the Acrocorinth, the Ancient Corinth, Isthmia, the Temple of Apollo, the Temple of Poseidon at Isthmia and many more, which are described below in details. 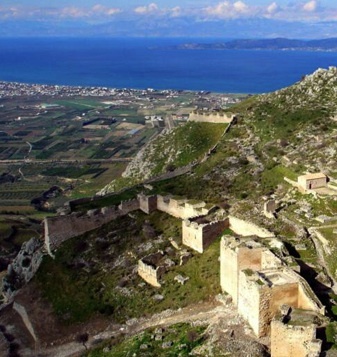 Acrocorinth is considered one of the most impressive attractions of the Ancient Corinth and it's a must see in every sightseeing tour. This impressive fortress was built in the ancient years at an altitude of 575 meters above sea level, and was expanded during the Byzantine, Frankish, Turkish and the Venetian eras. Inside the castle, follow the path that leads you to the northeast side and you will find yourselves across a Muslim Mosque, built in the 16th century, and on your east side you will get the chance to see the space where the magnificent Temple of Venus (of the most known temples in ancient Greece) used to be. 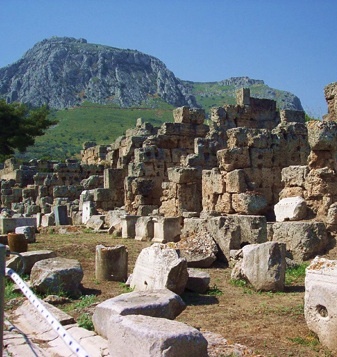 This is definitely one of the most important archeological sites, not only in Peloponnese, but in Greece as well. The Kirini Spring is one of the most beautiful attractions of this site and it’s worth being included in your sightseeing visit. 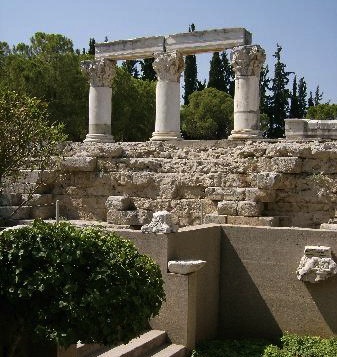 Few steps to your left you will see the north side of the Ancient Agora. This is a large 255 x 127 meters area, which is surrounded by columns, was the heart of the commercial and political life of this town. In its lower east side, you will see a pedestrian alley which was constructed during the Hellenistic Times, while the rest was completed during the Roman Era. On the east side you will see a special room, with a protective roof, with a beautiful roman mosaic. Behind the South Passageway, you will see the Southern Basilica and the Julia Basilica, built on 45 AD by Emperor Claudius. In the South Passageway you will see the Sacred Spring, which is dated back in the 5th century BC. 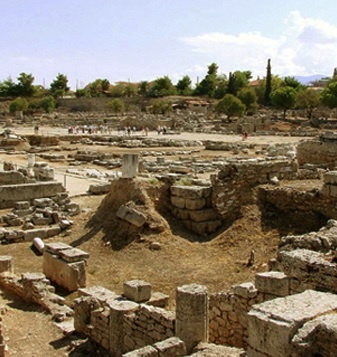 It’s considered a significant architectural construction of the Ancient Corinth. 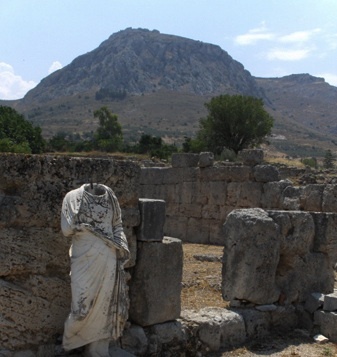 The Ancient Corinth was an extremely spiritual place, with numerous temples and sacrifice sites, forming one of the most extensive archeological sites in Greece. 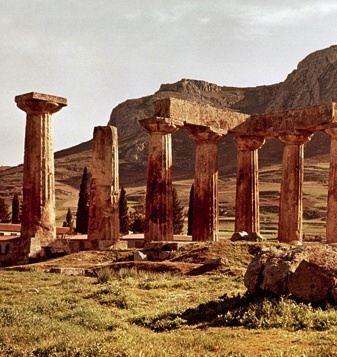 From the Sacred Spring and up the hill you will stumble across the Temple of Apollo, one of the most impressive temples of the area. It was built in the 6th century BC, a fabulous sample of Doric Rhythm, in the exact location of another 7th century temple. 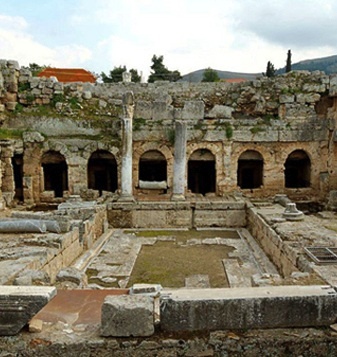 The archeological sites around the Temple are also comprised of the Glafki Spring, the Conservatory, the Theater and the Asclepion and they all should definitely be included in your sightseeing tour. 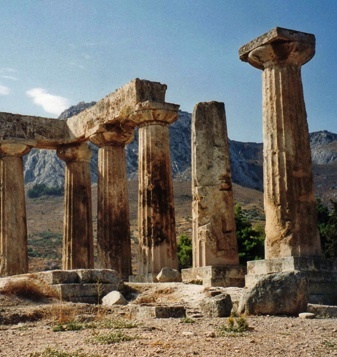 Corinth, Patra, Tropoli and Kalamata are the biggest cities of the Peloponnese. The Isthmus which connects the Peloponnese with the rest of the continental Greece was built between 1882 and 1893. The Isthmus is 8 meters deep and 6.3 kilometers long and can be crossed by vessels of up to 10.000 tons. One of its most interesting characteristics is the drawbridge in the northwest side that can sink under the sea. 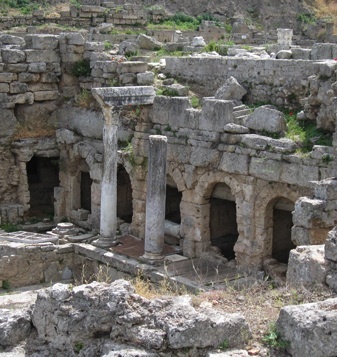 Isthmia is a deeply historical place, since it was the location chosen for one of the most well known Games that took place in the Antiquity: The Isthmian Games, which were originated as funeral games. 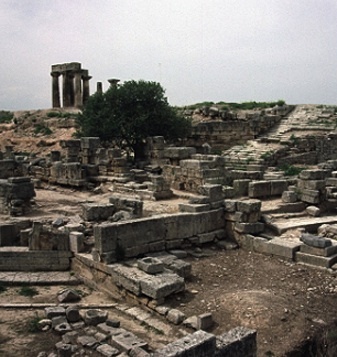 The area around the Temple of Poseidon on the Isthmus of Corinth was found in 1952, while the temple itself is considered as one of the most significant temples in Ancient Greece.